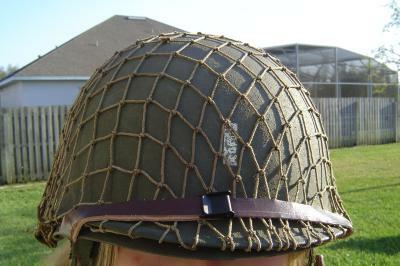 My good friend gave me his grandfathers M1 helm from the 2nd war. So i think its pretty brittle around the edges. 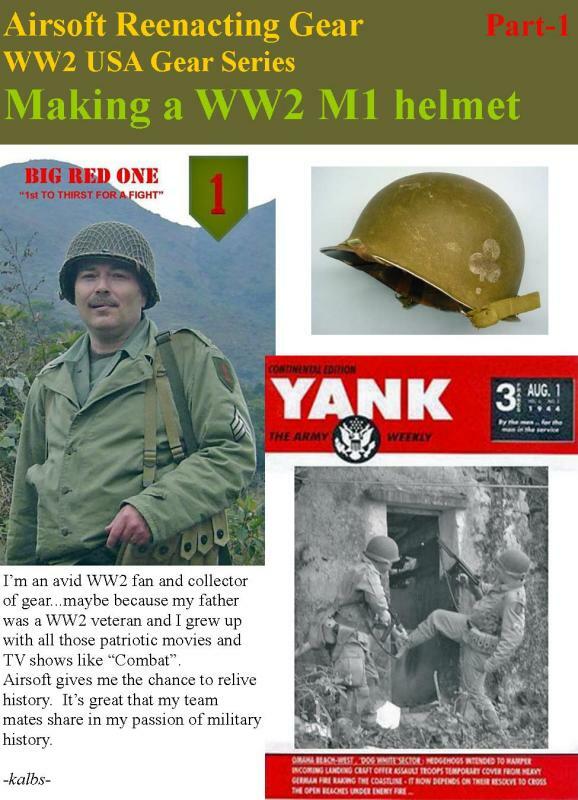 Im trying to put together a private ryan look. 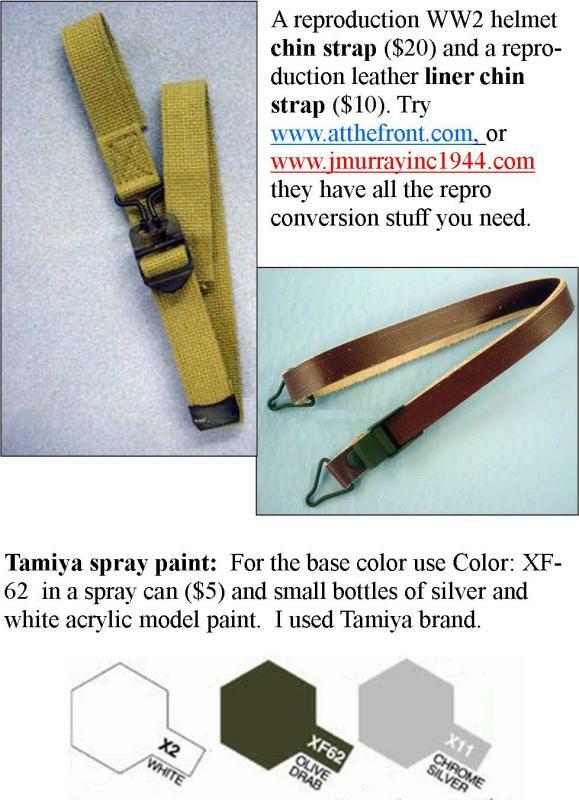 I used Mr. color model paint brand Olive Drab #1. Its glossy but will get rid of the shine with some Testors Dulcote (thanks for the tip Kalbs). 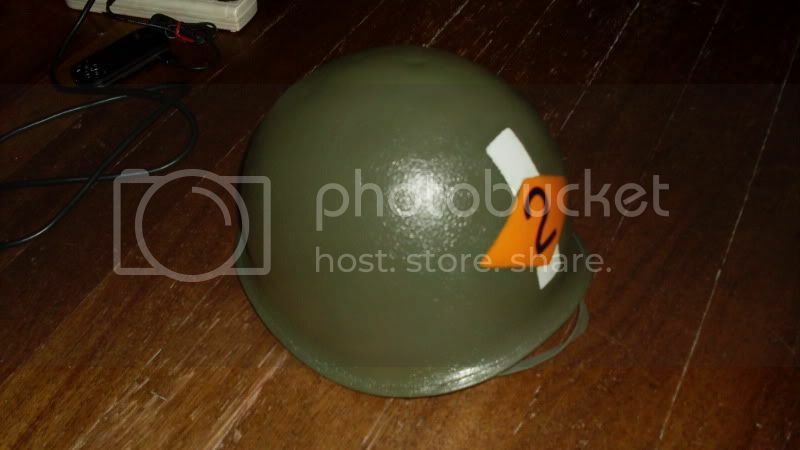 My next problem is finding the right material for my uniform. Since my 3rd word currency dictates that I cannot afford to order repros online, I am forced to source out for the material elsewhere. Im also planning to drag it around outside a bit to "weather" it. All that paint makes it look too new. Gundam Marker for writing the number 2 on diamond. 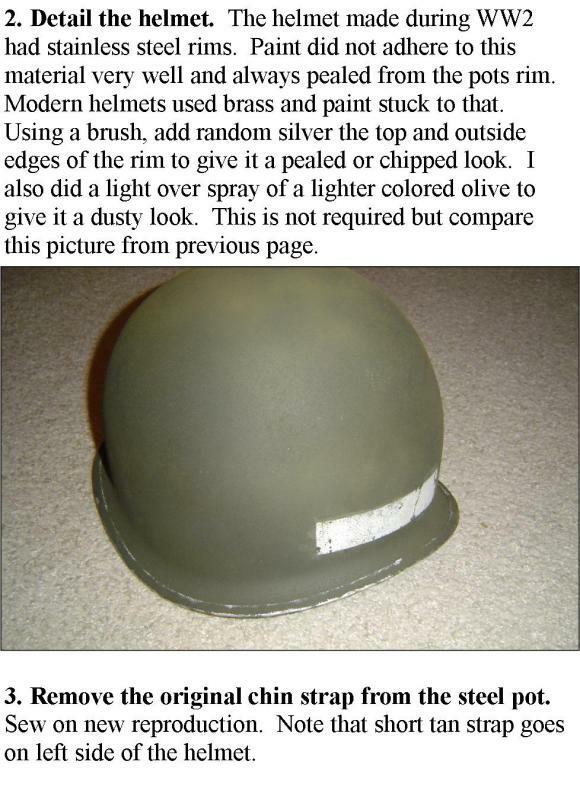 The lady in the model store said its paint. I just hope it does'nt blot when wet. Did you hand paint the Ranger logos? Those look awsome Pumba. hey thanks! yes i did have to hand paint it myself. Im not sure of the size of the diamond though. I just reckoned it to be that size from pics over the internet. Ooh HK? Great! Im going to need to replace the straps soon. They are still in original state and might tear soon. Auf der Heide bl?ht ein kleines Bl?melein und das hei?t Erika. 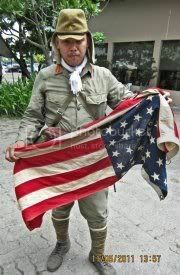 Nice M1-C, Sir Kalbs! Nice to see something other than the spade. 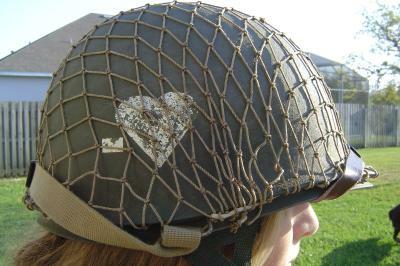 That's third battalion, 502nd, right (dash on the left of the heart)? By the way, there's an interesting side note that men from the 3rd Bn. 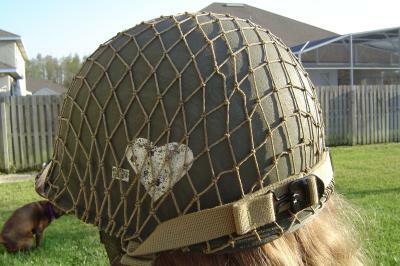 of the 506th wore the markings of the 1st Bn. 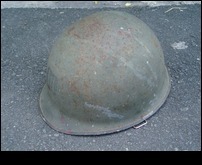 during D-Day. The 502 is near and dear to me .. Strike! very nice down to the tabi boots. How'd you come around getting your gear together? 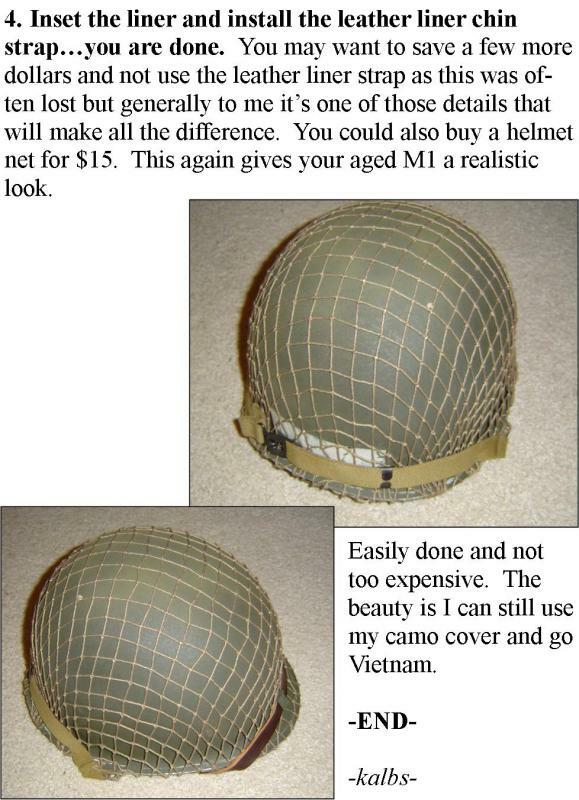 M1 helmet what i've done. He's old i know he'll appreciate it. 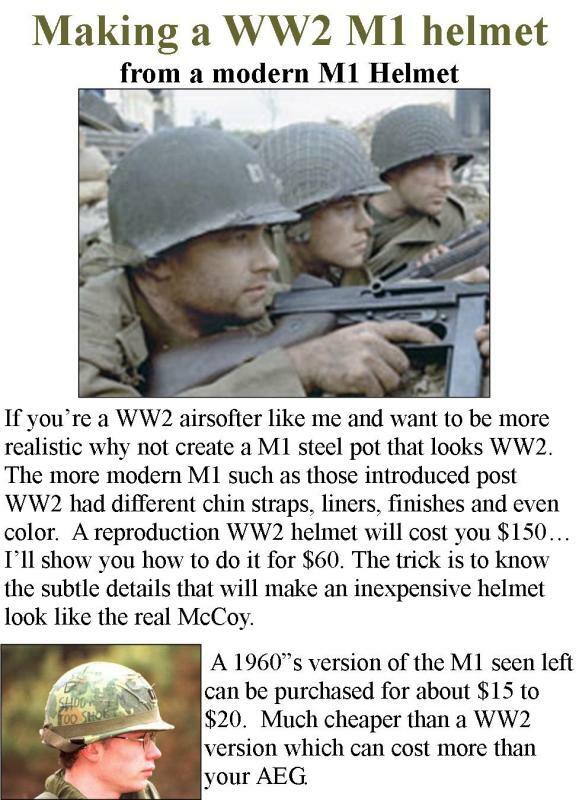 I don't know what era my M1 pot helmet is. 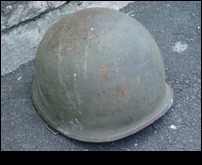 Here's another pic of the same M1 pot helmet. posting pics on the same reply page. 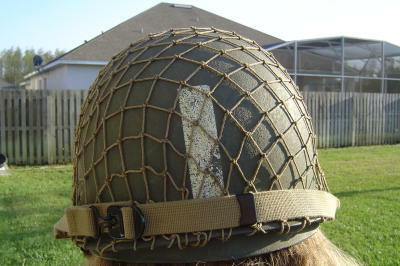 that is a late war m1 pot helmet..the sim line is at the back of the ridge on your helmet...either thats is a 60's to present helmet.. thou good enough for a late war impression.. bec the type of this helmet was issued to the allied soldiers from late 1943 to 44..and maybe posible your helm is a vietnam era..the attachment for the chin strap swivels. 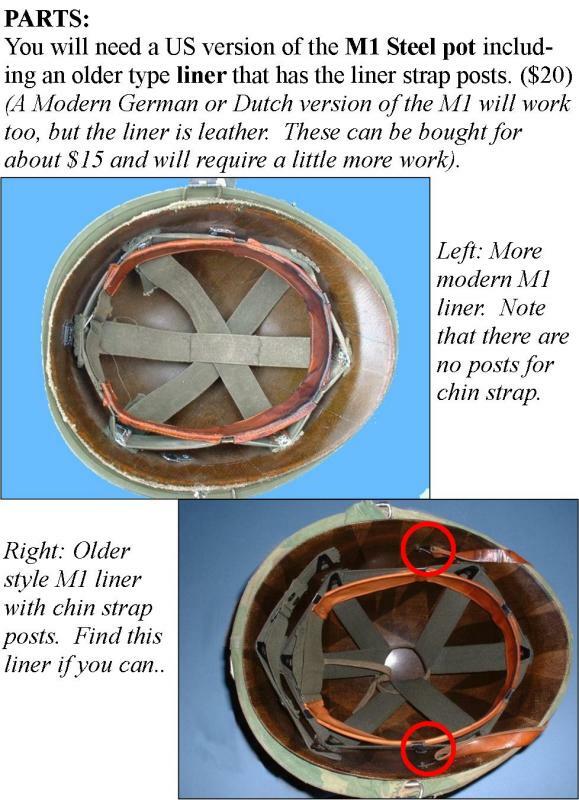 if you need help pm us or post it here..most of us are based in the philippines..and if you want a cheap original liner we can definately help you getting one. just keep us posted and supporting OUR website. cheers chap! I assume you mean painted markings. 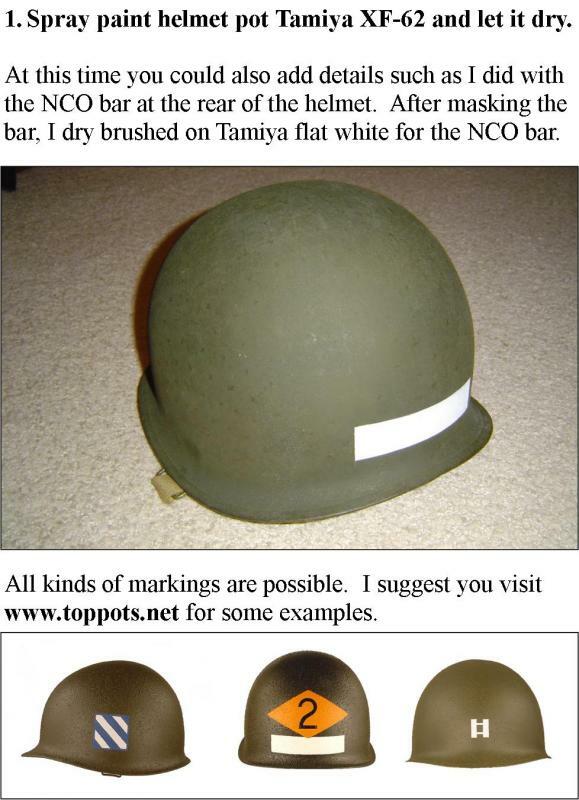 You can mask and spray paint the markings after making a template (light coat). An airbrush using Tamiya paints works best. 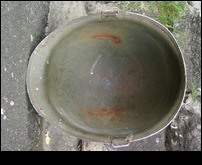 Let the paint dry for a bit then either use duct tape topull paint of or scrub using a kitchen pot scubber sponge thingy. 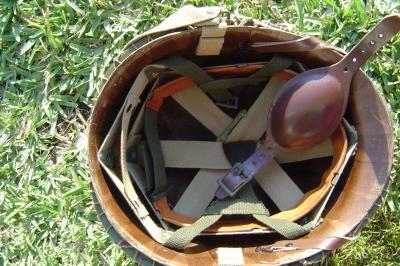 but the problem is the straps are new and modified to nylon. Would really like to know where and how much a liner would cost. Thanks for the info sir.